This particular mommy got a young daughter who has stretch marks. This mommy is so happen to be a blogger. 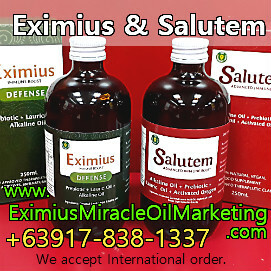 So I sent her Eximius Miracle Oil for her to test. Her daughter got her stretchmarks by scratching the affected area because of menstruation. I guess her body is reacting when her menstruation is coming. Her dermatologists is kind of hesitant to give her medication because she's still young. Mommy: Taken a little earlier. Me: By the way, thanks. I wasn't able to reply to you regarding your post about my bag. Mommy: We went back to the derma. It's not varicose veins. It's stretch marks because it just becomes big. But still it lessens. Mommy: Eximius is really amazing!